Read about the variety of payment options you can choose from when you purchase from apple.com, and learn how the tax on your order is calculated. Also, get more information about special pricing, offers, promotions, and other great deals with limited time availability. Some customers may qualify for other forms of payment. Please call 1-800-MY-APPLE and speak to an Apple Specialist for more information. Note: Some payment types are ineligible for orders that ship to multiple addresses. If you are using an ineligible payment type for an order shipping to multiple addresses, you will either need to change the payment method, or ship your order to a single address. 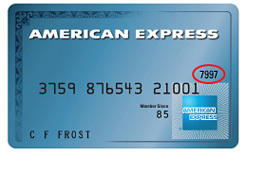 If everything seems to be correct, call the card issuer's customer service telephone number on the back of your card. Your credit card company may need to speak with you before they authorize your purchase. To prevent any unnecessary delays processing your order, please ensure that the billing address on your order matches the information on your credit card account. If you have recently moved or are unsure whether you receive your credit card statement at your work or home address, please contact your card-issuing bank using the telephone number on the back of your credit card to confirm. 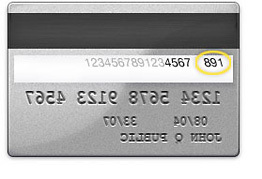 The card security code is a unique three or four digit number printed on the front (American Express) or back (MasterCard/Visa) of your card, in addition to the account number. Apple receives authorization to charge your account prior to shipping your item(s). However, your card will only be charged after your order has shipped. If your order contains multiple items and they ship at different times, you may see multiple charges on your credit card statement. My credit card was declined, can I re-authorize it? If your order was not authorized online, please confirm you have correctly entered your credit card details and place your order again. If you still have difficulties please contact your credit card company to make them aware of your order. If you are paying for your order with an international Visa, MasterCard, or American Express credit card, please note that the purchase price may fluctuate with exchange rates. In addition, your bank or credit card issuer may also charge you foreign conversion charges and fees, which may also increase the overall cost of your purchase. Please contact your bank or credit card issuer regarding these fees. You can redeem an Apple Store Gift Card at the online Apple Store, by calling 1-800-MY-APPLE, or at any Apple Store. Apple Store Gift Cards can be used only in Canada. With the exception of gift cards, certificates, and iTunes downloads and/or subscriptions, you can purchase just about anything sold by Apple, including products from both Apple and third-party makers. You can use up to eight Apple Store Gift Cards at the Apple Online Store or if placing an order over the phone at 1-800-MY-APPLE. You can combine your Apple Store Gift Card(s) with one credit card to pay for your purchase. Simply enter or provide the PIN. On the plastic gift cards, the PIN you need to use can be found on the back under the scratch off area. On the electronic Apple Store Gift Cards, the PIN can be found on the email below the image of the card. Please keep the card in your possession until the order has been processed and delivered. The Apple Store Gift Card is subject to applicable terms and conditions. For more information about how to redeem your Apple Store Gift Cards, visit How to Redeem Apple Store Gift Cards. To purchase an Apple Store Gift Card, click here. Place your order with an Apple Store Specialist by phone at 1-800-MY-APPLE. Obtain the final dollar total of your order including tax and any applicable shipping charges from the Apple Store Specialist. Allow 1 business day for the processing of your wire transfer. If you have any questions about your wire transfer, you can call 1-866-222-3456. Apple offers special pricing to students, teachers, administrators, and staff members. We also offer special pricing for home-schooling programs, pre-kindergarten, and purchases made on behalf of students. If you live in Canada, visit the Canada Apple Store for Education to place your order for reduced prices on the full range of Mac computers, plus select third-party products. Please note that only orders placed on your country’s Apple Online Store for Education site are eligible for the special education pricing. Visit the Product Promotions (Opens in a new window) homepage for a list of limited-time offers. You can also view the Product Promotions FAQ (Opens in a new window) to learn more about how to qualify for an Apple rebate, how to obtain a rebate check, where to mail required documents, and any Terms and Conditions for each promotion. Promotional pricing is usually applied either at the time of your online purchase, or as a rebate after you receive your product. Rebates may also be available as a special offer from leading Macintosh software and accessory manufacturers, as well as from Apple directly. Visit the Product Promotions (Opens in a new window) homepage. Click the "Learn More" button for the promotion that interests you. Click the "Terms and Conditions Apply" link. Click the Mail-In Rebate link on the right side of the page, and the form will begin downloading. All Shipment Notifications or Item Invoices from the eligible order - visit the Viewing & Changing Orders section of online Help to find out how to print an invoice of your order. The following products are not eligible for return: electronic software downloads, subscriptions to the Software-Up-To-Date program, Apple Store Gift Cards, and any Apple Developer Connection products. For returns to an Apple Retail Store for cash, cash equivalent, and cheque transactions over $750, Apple will mail a refund cheque to you within 10 business days. For complete details on how to return a product purchased at the Apple Store please visit the Returns & Refunds (Opens in a new window) page. Apple Watch from the Edition collection may only be returned or exchanged if it’s in its original, undamaged, and unmarked condition after passing inspection at Apple’s offsite facility. Depending on your original form of tender, a cheque, wire transfer, or refund to your debit/credit card will be issued within 10 business days provided the returned item is in its original condition. The purchase and use of Apple products are subject to additional terms and conditions found at https://www.apple.com/legal/sla/ (Opens in a new window) and https://www.apple.com/legal/warranty/ (Opens in a new window). Apple reserves the right to change prices for products displayed at/on the Apple Store at any time, and to correct pricing errors that may inadvertently occur. Additional information about pricing and sales tax is available on the Payment & Pricing (Opens in a new window) page. In the event you have been charged more than the posted price for a product in an Apple Retail Store, please see a Manager for a refund of the overcharge. Should Apple reduce its price on any Apple-branded product within 15 calendar days from the date you receive your product, feel free to visit an Apple Retail Store or contact the Apple Contact Center at 1-800-676-2775 to request a refund or credit of the difference between the price you were charged and the current selling price. To receive the refund or credit you must contact Apple within 15 calendar days of the price change. Please note that this excludes limited-time price reductions, such as those that occur during special sales events, such as Black Friday or Cyber Monday. Prices shown are in Canadian dollars. If you are paying for your order with an international Visa, MasterCard, or American Express credit card, please note that the purchase price may fluctuate with exchange rates. In addition, your bank or credit card issuer may also charge you foreign conversion charges and fees, which may also increase the overall cost of your purchase. Please contact your bank or credit card issuer regarding these fees. Apple may, in its sole discretion, refuse or cancel any order and limit order quantity. Apple may also require additional qualifying information prior to accepting or processing any order. Once we receive your Online or Call Center order, we’ll provide you with an email order confirmation. Your receipt of an order confirmation, however, does not signify Apple’s acceptance of your order, nor does it constitute confirmation of our offer to sell; we are simply confirming that we received your order. The Apple Store reserves the right at any time after receiving your order to accept or decline your order for any reason. If Apple cancels an order after you have already been billed, Apple will refund the billed amount. Please review the Shipping & Pickup (Opens in a new window) page to learn about how and when you will receive the products you purchased from the Apple Store. Since the actual delivery of your order can be impacted by many events beyond Apple’s control once it leaves our facilities, Apple cannot be held liable for late deliveries. We will, however, work with you to ensure a smooth delivery. Apple offers in-store pickup for many of the items available on the Online Store. Certain products and payment methods, however, may not qualify for in-store pickup. Financing payment method does not qualify for in-store pickup. Only you or the person designated by you may pick up the item(s) purchased. A government-issued photo ID and order number will be required for pickup. Apple will notify you when your order is ready and the date by which you need to pick up your items. We’ll also send you a reminder or two, just in case it slips your mind. If you don’t pick up your order, Apple may cancel it. Please visit Shipping & Pickup (Opens in a new window) for complete details about in-store pickup. If you select in-store pickup, you may designate a third party to pick up your order. You must provide the name and email address of the third party. Please note that certain products and payment methods are not eligible for in-store pickup by a third party. The third party will need to bring a government-issued photo ID and order number for pickup. Apple is not responsible for actions taken by the third party once your item(s) have been picked up. The Apple Store sells and ships products to end-user customers only, and we reserve the right to refuse or cancel your order if we suspect you are purchasing products for resale. Products purchased online from Apple will only be shipped to addresses within Canada and are subject to Canadian, U.S. and foreign export control laws and regulations. Products must be purchased, sold, exported, re-exported, transferred, and used in compliance with these export laws and regulations. To purchase Apple products online from outside of Canada, please click here for international store information. For Apple Store Gift Card Terms and Conditions, please visit click here(Opens in a new window).